Coming from Africa, I have been on many safaris, but never as many and as full of game and rhythmical music as my outings on game reviews. If only the overseas tourists realized that real safaris are a far cry from what you find on the reels or on the movies. No guys are sitting in the background following you on a vehicle playing the marimbas while cool cats and friendly elephants cruise over every few minutes to shoot the breeze (of which there is very little on the savannah plains of Africa). I fear they may choose to stay at home and play slots rather in a cool air-conditioned room and a cocktail in their hand. Safari Adventures is another Platipus Gaming game that is a feel-good offering. The animation offers animals that are dopey and docile in look and could be stuffed animals. 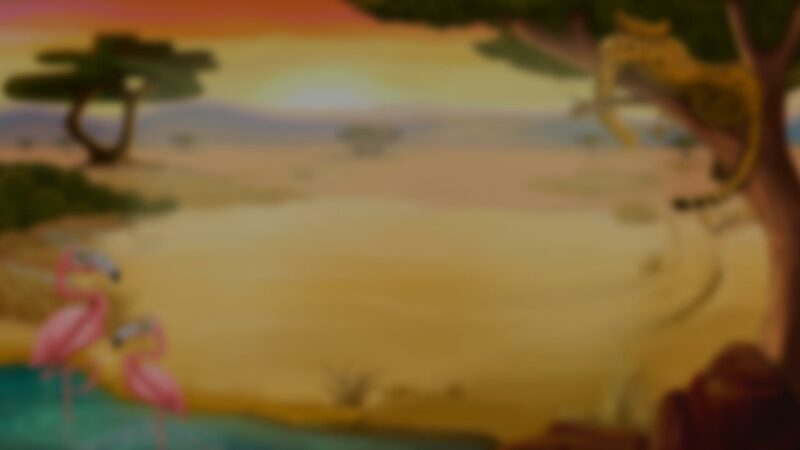 The background is an animated African scene. Sticky Wilds and Free Spins make up the most if not all of the game pay in this slot. Which for more advanced players may seem a bit underwhelming. What was fantastic is that my Mobile Phone and Laptop played this game effortlessly and I had a friend play on her tablet, and it seems Safari Adventures can be found anywhere. Don’t be fooled into thinking the 5 reels with 50 paylines is going to bring you wins while you walk in the park. This slot offers high volatility, and you will need to be patient while waiting for the wins. However, when they come, they are worth it in value. Platipus always puts their best foot forward when it comes to animation and Safari Adventures is no exception. The animals are absolutely adorable, and if I could, I would make them come to life in my living room. The medium paying symbols are represented by a pair of African natives, a cuddly lion, docile elephant, dopey Giraffe and coy Zebra. The rest of the symbols are playing card numbers 9 through Ace. The Wild on the reels is a sunset behind a tree and can replace all symbols except the Scatter. The Scatter is a Hot Air Balloon symbol. The control panel is typical Platipus. It is orderly and well set out. On the panel you will find the sound and information symbols on the left and next to them is balance, total bet, line bet, play, and auto play. These will help you maximize your gaming experience. The first feature is the Free Spin round. During this round, if you land 3 or more Scatters, you will be awarded 10 free spins along with a Sticky Wild and a x2 multiplier. This round can be retriggered and then you will receive 5 free spins. Any Wild appearing during the Free Spin Round become Sticky for the whole round. The symbols behind the Sticky Wild do not pay. In Africa, you have to work hard for a win, and this game offers 10 000 coins for your hard work. I always enjoy revisiting Africa and all its charm. In fact, visiting it on the slots is much more glamorous and cool than braving Africa's heat in reality. I know that Safari is a pastime for many slot players and this one is enjoyable and has great spin features. Prizes are slow to come but when they do they pay well. Safari Adventure is going to appeal to a wide audience as it is fun and easy to play. It has credible features on offer, but you need to be as patient as you would be on a real safari, to see the game.